For some quite long time I naively thought that it is not possible (or at least very difficult) to make ASP.NET MVC stuff work on a Web Site project. But, my latest hacking of MVC opened another perspectives. There are no any difficulties with ASP.NET MVC on Web Sites. 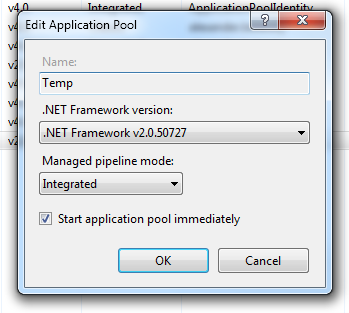 I'll share an experience of integration ASP.NET MVC in my work project legacy Web Site. In my case I integrated ASP.NET MVC2, since we are still running on .NET 3.5. If you are running .NET 4.0 the best is to go with ASP.NET MVC3 already. The difference of setup would not be huge, just in proper versions of assemblies. I assume you already have ASP.NET MVC2 framework on your machine (if you have VS2010 - you definitely have one), if no just go that link and install it. MVC assembly have to be added to web.config. Since the MVC infrastructure heavily depends on Routing mode, it have to be put to web.config as well. Register URLRouting module and handler. 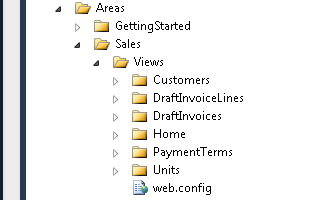 In typical ASP.NET MVC application you have 3 folders, for - Models, Views, Controllers. 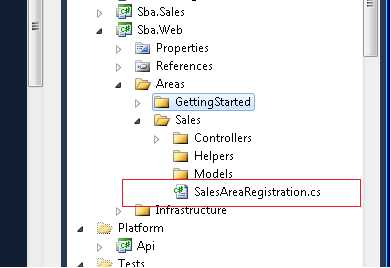 Models/Controllers are C# code, views are .aspx pages. With a Web Site you typically place code into App_Code folder. But you should not do that. Instead, it it better to create a separate class library project that would hold your models and controllers. Views would be placed under corresponding Area folder. // All routes are here..
That's it. Now you implement Controller/Models in usual way and able to add unit tests project for new assembly. Make sure that assembly will be placed into to Web Site /Bin folder. I simply added ../Site/Bin as project output directory. At the site initialization and Application_Start() call of Global.asax, all AreaRegistration instances would be created and routes being registered. Views have to be placed in the Web Site folder itself. MVC has several rules for views placements, so you have to follow them. Views for controllers that are part of Area's have to be places into Site/Areas/AreaName/Views, the common stuff line master pages are in Site/Views/Shared. It is very important that each View folder must contain the web.config inside. You can either pick it up from default MVC2 application of just grab from gist. Our application previously worked in "Classic" mode. Even thought, it is possible to run MVC on "Classic" I would not really recommend it to do and if production environment allows, just switch you application pool to "Integrated mode". Are you really on integrated mode? Are there any physical folders that the same as you routing, e.g /sba/sales route and /site/sba/sales folder? In such case you either should correct the routing or change site folder structure. Moving along and starting implementation of some real controllers, we've got very strange NullReferenceException problem. After bit debugging it turned out that HttpContext.Current.Session is null in controller actions. That's the common problem for legacy web sites. It is very well described in this stackoverflow answer. So, you just need to add one more section into web.config file. After all of those configuration changes your Web Site is fully adopted to ASP.NET MVC framework usage. So, just go ahead and feel the awesomeness of MVC! Published at DZone with permission of Alexander Beletsky , DZone MVB. See the original article here.